Yes, I'm still using my bullet journal. Not daily, but I'm still using it, and I find it very useful. One of the main reasons to keep it is that it helps me pick up something that I'm going to focus on, and so far I've managed to achieve all my monthly goals. After January I decided to have two months on one spread. My monthly spreds are very simple, as you can see. The main thing is to state my goals, which I have limited to three. That's my February - March spread above. And this is my April - May spread. 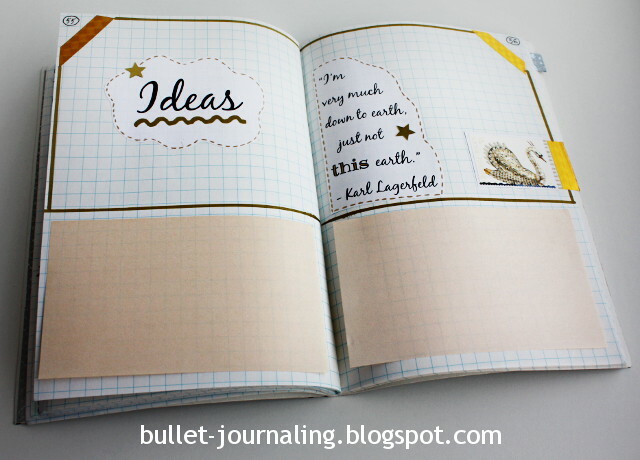 I have used my month spreads for storing my sticky notes as well, which I find very handy. As a matter of fact, I have sticky notes all over my bullet journal. I don't feel it's necessary to write down every single thing in my bullet journal. Instead I use disposable sticky notes, so my two monthly spreads or idea spreads are big enough for everything that needs to be remembered. I even bought these tiny sticky notes by The Happy Planner that you can see an example on the right side of this spread. They're so small you can stick them anywhere and use several sticky notes on the same page. At first I added daily entries daily, but not any more. 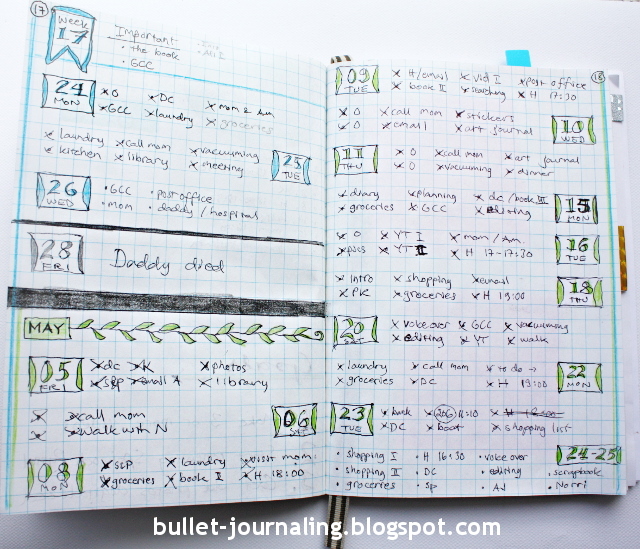 I add daily entries when I feel it's needed - that is when I have too many things to do at the same time, and I need to sort them out and see what I really can do during one day and the rest will go to to-do-lists. This is my daily spread from April - May. 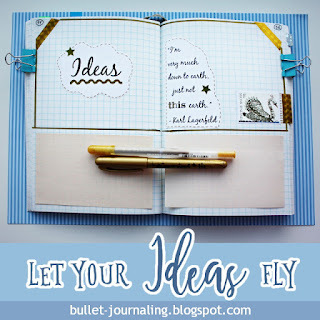 The one thing that caught my eye about bullet journals was that they were colorful and pretty and creative. 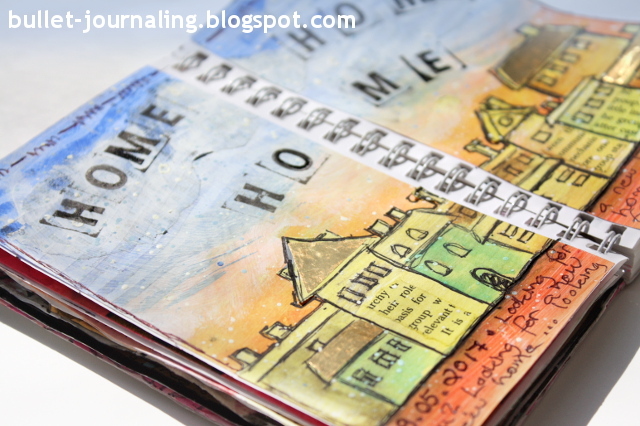 They still are, but I'm more and more into art journaling these days. If you look at my May page, you'll see that one of my goals was to make at least three Youtube videos, and that's what I did. At the moment I've published six videos and I've already got plenty of them waiting to be edited. 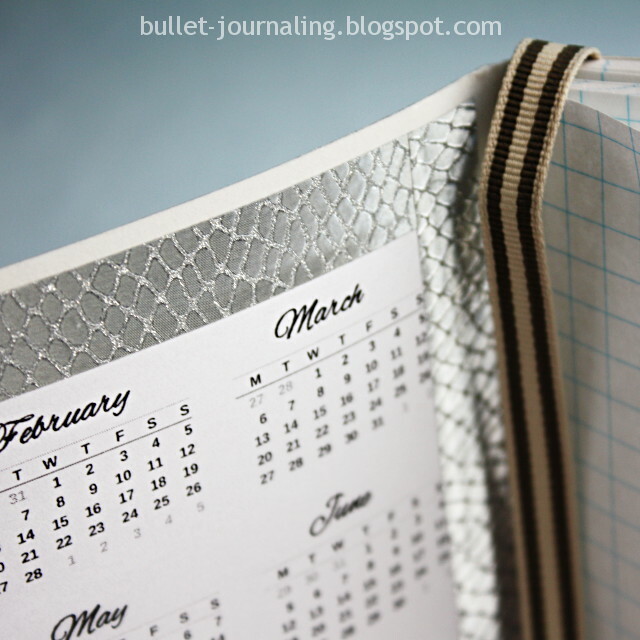 I'll probably make a video about my bullet journal later on this year, but meanwhile I welcome you to my channel to watch videos on art journaling, scrapbooking, card making and mixed media! Almost as soon as I had started my bullet journal, I knew I would need to make a collection spread for my ideas. 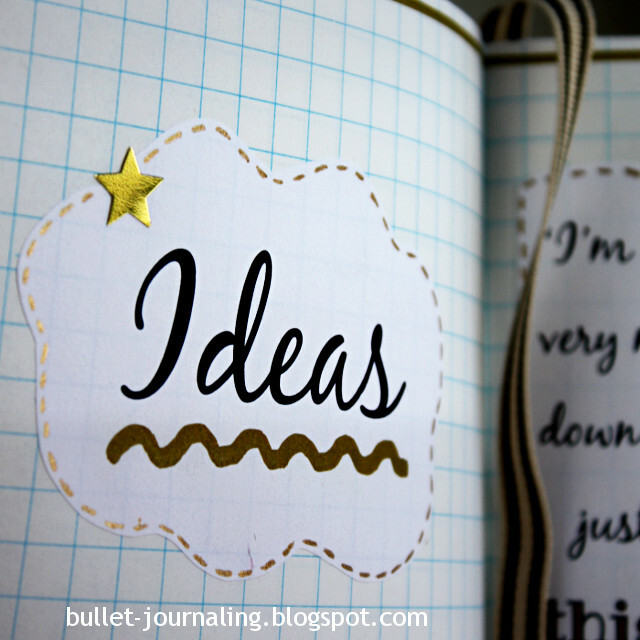 It would include the word "Ideas" inside a large cloud and I would write keywords of my recurring ideas around it. 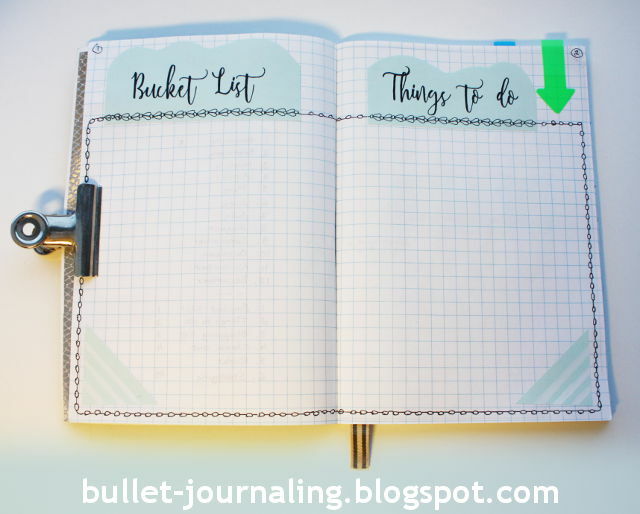 I had this vision in my mind, when I finally made that bullet journal layout today. In my opinion, writing ideas down would be helpful for two reasons. First of all, my ideas would be saved. I would find them in one place, when I would have time to start new projects. Secondly, I thought it would help me focus on my current tasks better, if I could get those ideas out of my mind and put them on paper. It's no use spending time thinking about all these ideas that I cannot process right now, because I'm busy doing something else. These ideas may or may not turn into reality one day. At this point it's not important - it's important just to save them. 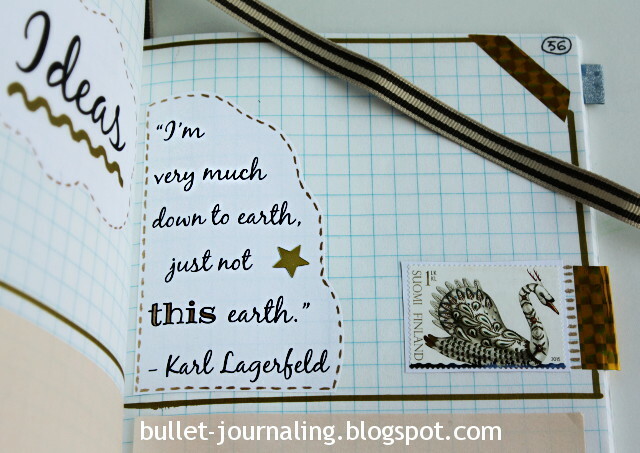 Having this in mind, I added this witty quote from Karl Lagerfeld: "I'm very much down to earth, just not this earth." What a perfect quote for this bullet journal spread! Ideas are ideas. Let them fly. They are not down to earth. Plans are. As one spread probably will not do for all my ideas, I placed two sticky post-it-notes below the main area. I'm going to write down only short keywords like "art" or "start a shop" or "write a new book" on the upper part of the pages and I´m going to add details on sticky notes. In time, I'm going to harvest my notes and replace the original post-it-notes with new ones. Hopefully I'll be able to turn some of my ideas into plans during this year. To help me find this spread fast, I marked the page on the right side with golden washi tape. 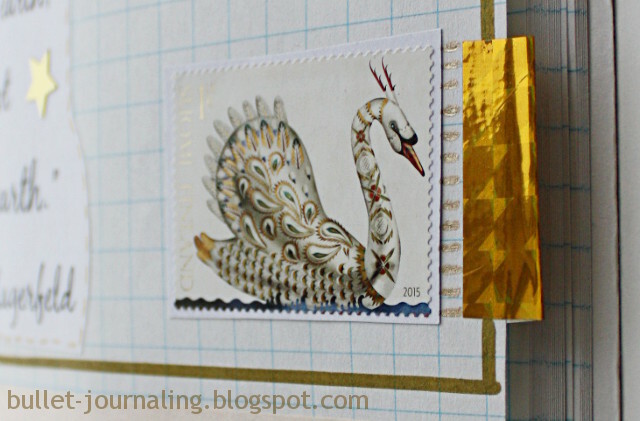 I also added a beautiful swan stamp beside it - just because it looked nice and it coordinated with the color theme of this spread. I just happened to notice the stamp while I was making the ideas spread of my bullet journal and now it's there. I made the thick lines with a thick gold marker. First I chekced out, if the marker would bleed. It didn't, so I thought it would be safe to use it. Dashed lines around the Ideas cloud and Karl Lagerfeld's quotes are made with a golden gel pen. 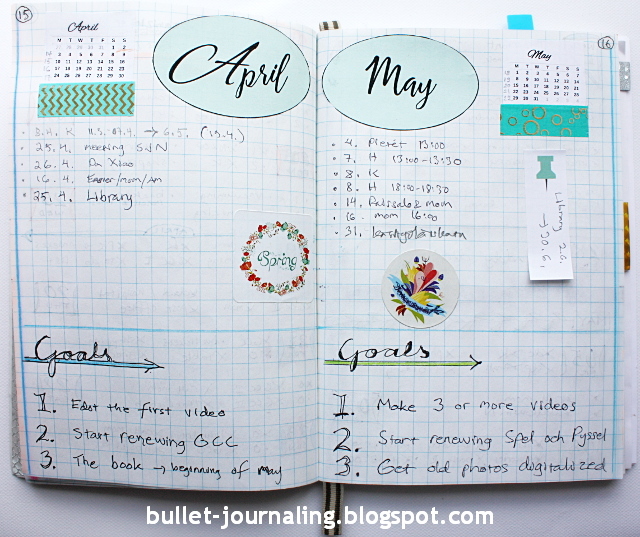 I'm very happy with this beautiful spread and it will probably be one of the most used in my bullet journal. This spread is for general future ideas. I'm going to make separate pages for Valentine's day ideas, Christmas ideas and some other specific themes later on. After one week of bullet journaling I have good news and bad news. 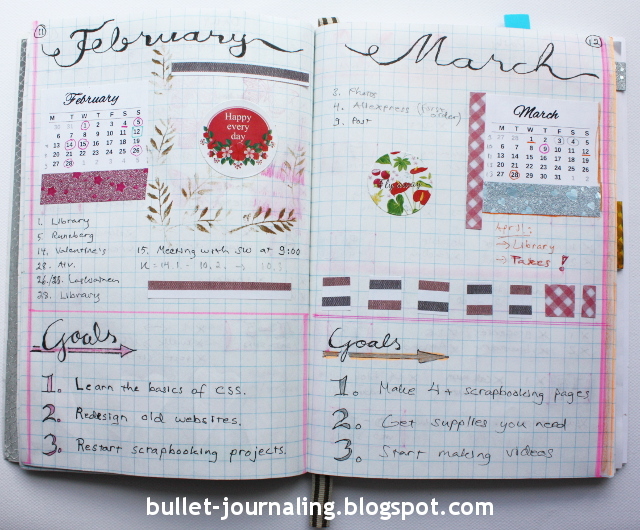 Good news first: I´m still in love with my bullet journal and I´m definitely going to continue this project. 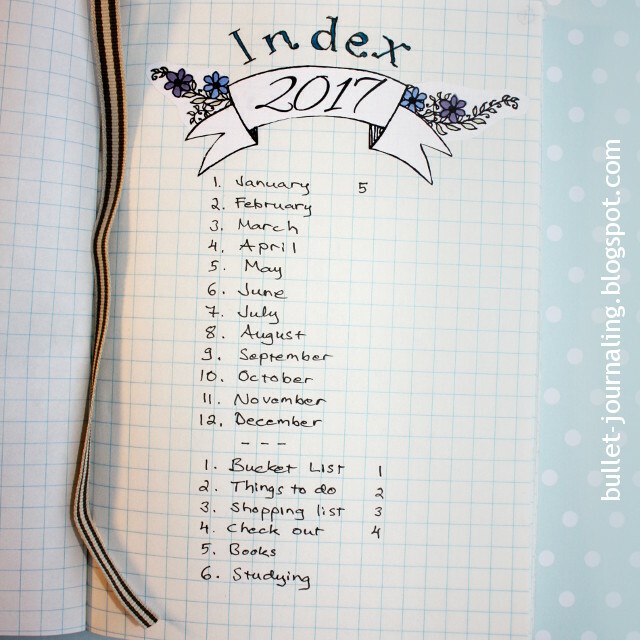 I have always used lists to get things organized, but it was never my routine to start a day taking a planner or a journal in my hand. Now it is. I create the daily task list - or the beginning of the list - right after morning coffee. I´m sure it has helped me to achieve better results already. This is my first bujo spread. Week one is on the right side and the page I made for January is on the left side. I added a motivational quote on the January page just to cheer me up. 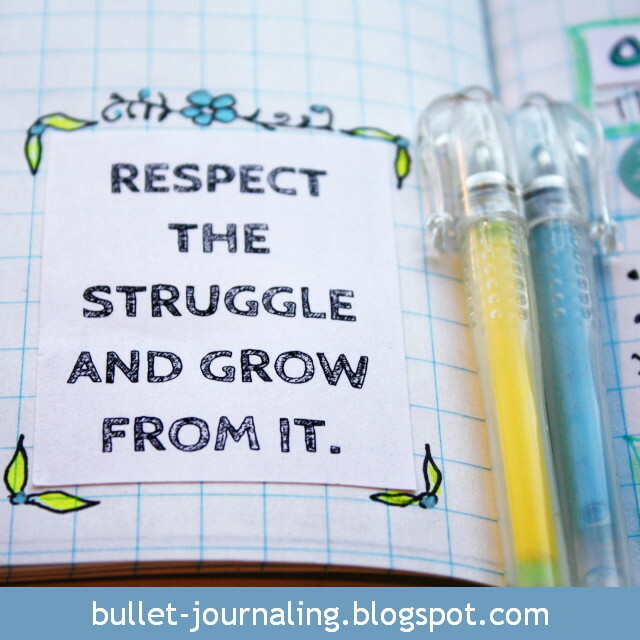 "Respect the struggle and grow from it." My life has been a great struggle for the last ten years and it still is. I hope my bullet journal will help me get my life back. The bad news is that I felt I had failed, if I could not complete all my daily tasks. It made me feel frustrated. I think it will be easier to set realistic target over time, though. Some of my tasks were too large and contained too many subtasks for one day. 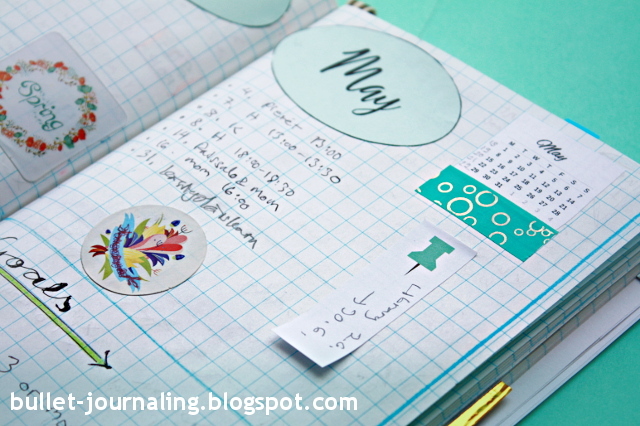 I´m going to add tasks in more manageable chunks to my future lists. After all, one of my problems is that many of my goals seem to be so large that I feel overwhelmed, and then I end up doing nothing at all. One of these hard projects has been studying CSS. 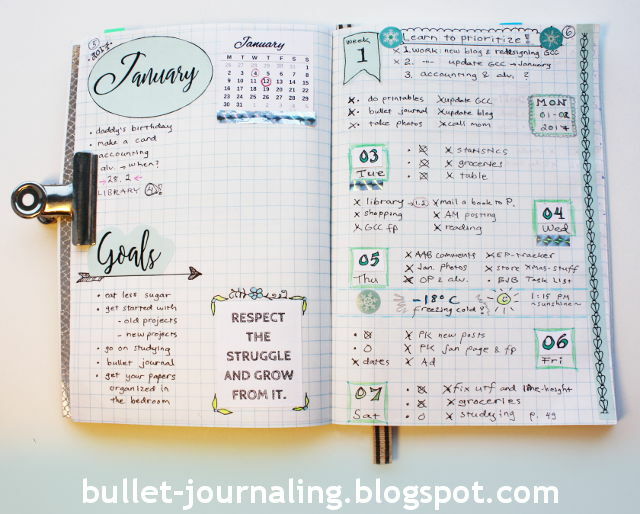 I finally got started yesterday - and I thank my bullet journal for it. My goal is to spend one hour each day studying a giant book on CSS. It will be my top priority this week. 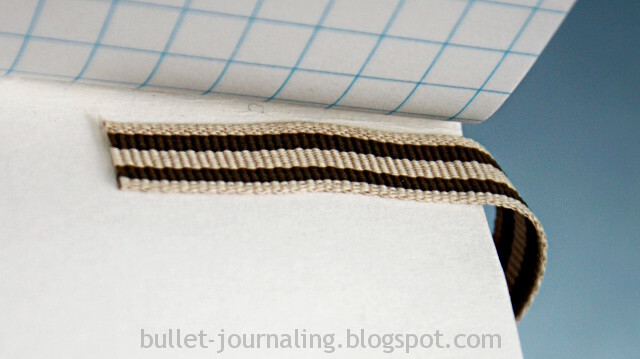 I still have empty spreads in my notebook, though I have added them to the Index. For example, there´s nothing in my bucket list or in the running to do list for things that need to be done, but not on any exact date. I have yet to learn to write down things, if something pops up in my mind while I´m doing something else. That is why I created those bujo pages for! All in all, I´m happy with the first week and I know I´m going to achieve better results as I get used to using my bujo whenever I feel the need to save an idea or a thought. See you soon! Today is the first day of 2017 and I finally got started with my new bullet journal. 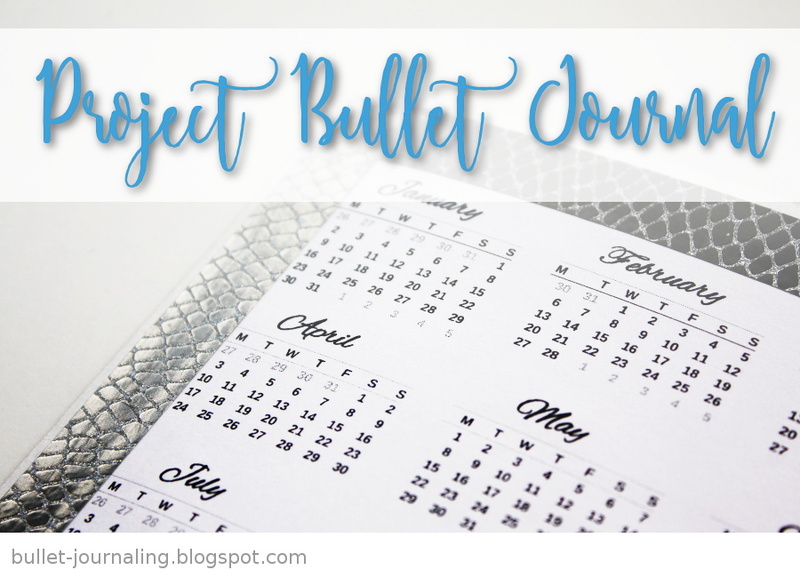 It took me about 30 minutes to create the bullet journal and a bit longer to create the printables that I had planned to use. I´ll give you a detailed description tomorrow with photos of my journal and links to the free printables that I intend to share on gamescraftscoloring.com. 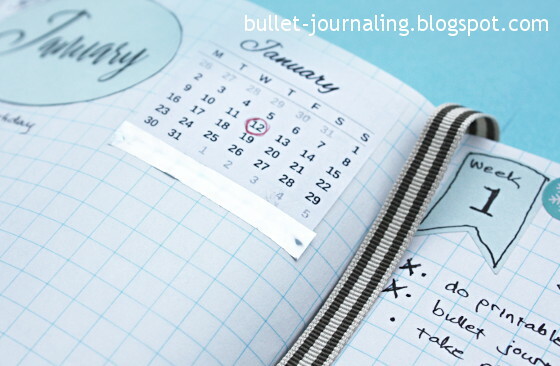 Tomorrow will be the first Monday of the year, so it will be the perfect day to start planning. See you tomorrow!